During his eight-ball knock, Hardik Pandya hit one four and three sixes. MS Dhoni and 'helicopter shot' are so synonymous with each other that whenever any other batsman pulls off the innovative flick, a comparison with the former India skipper's excellent timing and wrist-work crops up. 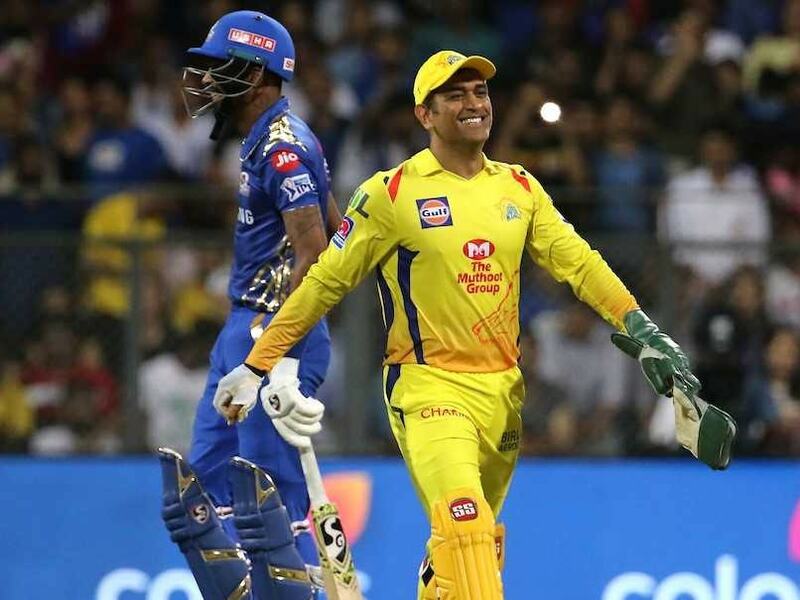 During an Indian Premier League (IPL) match between Chennai Super Kings (CSK) and Mumbai Indians on Wednesday, Hardik Pandya emulated MS Dhoni's trademark shot right in front of the man who popularised it. Hardik dispatched Dwayne Bravo's yorker on the stumps in MS Dhoni style and landed it in the top-tier of Wankhede Stadium. 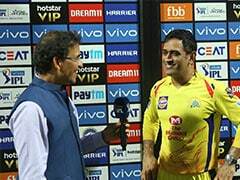 Dhoni seemed mighty impressed with it. After the match, an overjoyed Hardik Pandya talked about pulling off his inspiration MS Dhoni's pet stroke and said that we was hoping for the wicketkeeper batsman to congratulate him. After being put in to bat, Mumbai Indians were struggling to post a competitive score against the defending champions. But a late flourish from Hardik Pandya and Kieron Pollard helped the hosts set a fighting target of 171. During his eight-ball knock, Hardik hit one four and three sixes. "I am very happy for the way he's (Hardik) batting, I'm impressed. 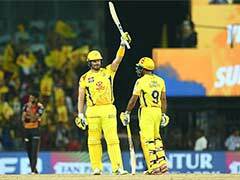 I have never seen him bat this well previously, will have to use our variations to defend this score," Hardik's brother Krunal said after Mumbai Indians' innings. Man of the match Hardik Pandya took three wickets including that of MS Dhoni as Mumbai Indians defeated Chennai Super Kings by 37 runs to become the first team to register 100 wins in IPL. 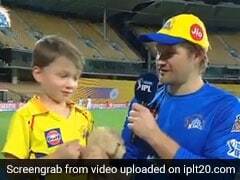 MI's win also ended the defending champions' three-match winning streak in IPL 12.